As we think about identity theft risks, we can’t underestimate the fraud alert risk of banks and other financial institutions that ignore fraud alerts due to many business reasons including inconvenience, slow business processing speed and operating errors. In order to consider this risk, we have to remember why fraud alerts were created in the first place. They were designed to prevent identity fraud by requiring businesses to validate the identities of their clients by calling the published phone number in their credit reports before granting new credit accounts, loans, and increased line of credits. Businesses have a vested interest in validating the identity of a person requesting a new account, new loan or a change of address because businesses don’t want bad loans as they’re in the business of making money. Although automated services such as Lifelock encourage an increasing number of individuals to place fraud alerts on their credit reports to prevent the opening of new accounts and loans in their names, validating a customer’s identity should be part of the standard operating procedures of any company. But even as current laws require identity validation from businesses, is it possible that businesses overlook this little fraud alert detail placed in customers’ credit reports and bypass the effort of calling consumers before granting a loan? My guess is that this preventive control, just like any other control, is only as effective as how consistently people follow them. If businesses fail to follow the recommendation of calling an individual to validate his or her identity, then fraud alerts will not work. This is probably the biggest fraud alert risk I can think of right now. But you may ask, why would businesses behave carelessly when it comes to their money? The answer is because businesses are not perfect. Even as we accept that identity validation is a critical component of approving a credit application, we had to wait for a law such as FACTA to allow placement of fraud alerts by individuals, and require businesses to validate a consumer’s identity. The fact is businesses make errors as much as we want to believe big companies are perfect. The question now is what would happen if businesses fail to contact consumers to validate their credit request and identity resulting in identity theft and fraud? Who is to blame for this fraud alert risk? How can consumers, following their identity theft, prove that banks never called them to verify their identity and credit request? This is a complicated legal issue but as long as the identity validation is done by phone and no written confirmation or action is required on the part of consumers such as lifting a credit freeze, consumers may not have a solid legal case in their fight against banks and institutions that granted credit to others in their names. Fraud alerts don’t mean any thing if they’re not acted on. 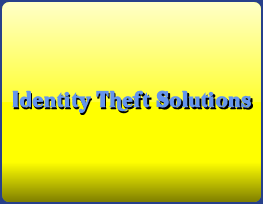 Validating consumer identity should be part of standard business operating procedures that reduces business risks while it protects against identity theft and prevents identity fraud. Return to home page from "fraud alert risk".